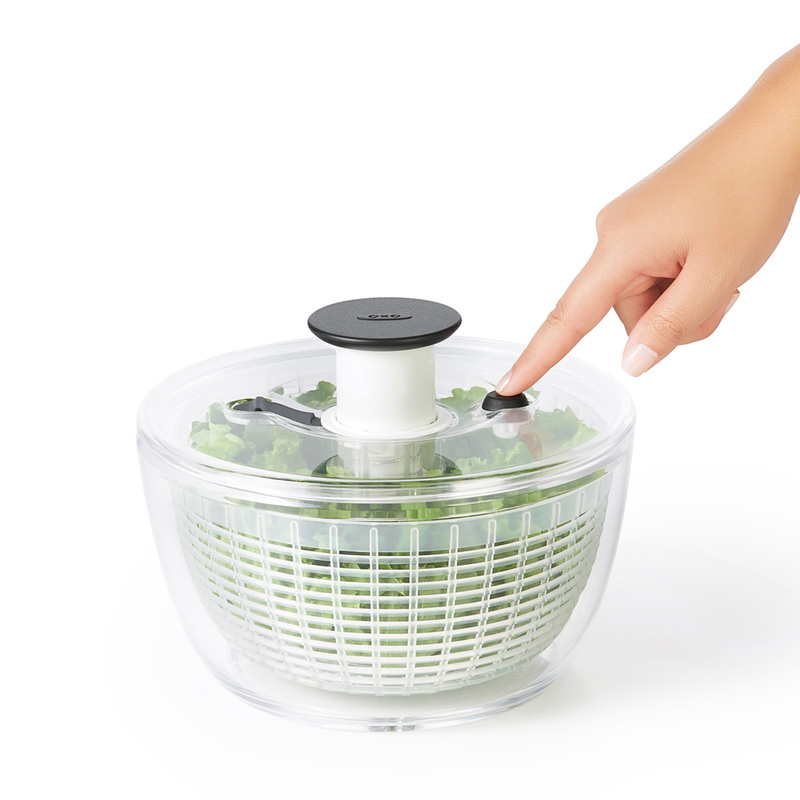 The Little Salad Spinner, a small version of the big Spinner, is perfect for drying salad for two, herbs or berries. 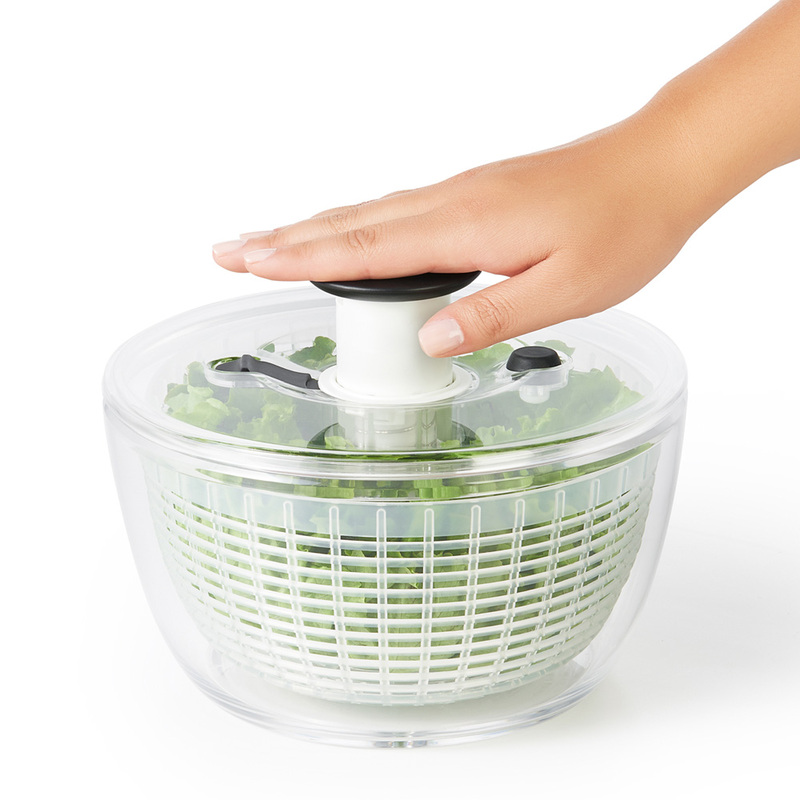 It features the patented pump mechanism that makes it easy to spin salad by simply pressing the soft knob. 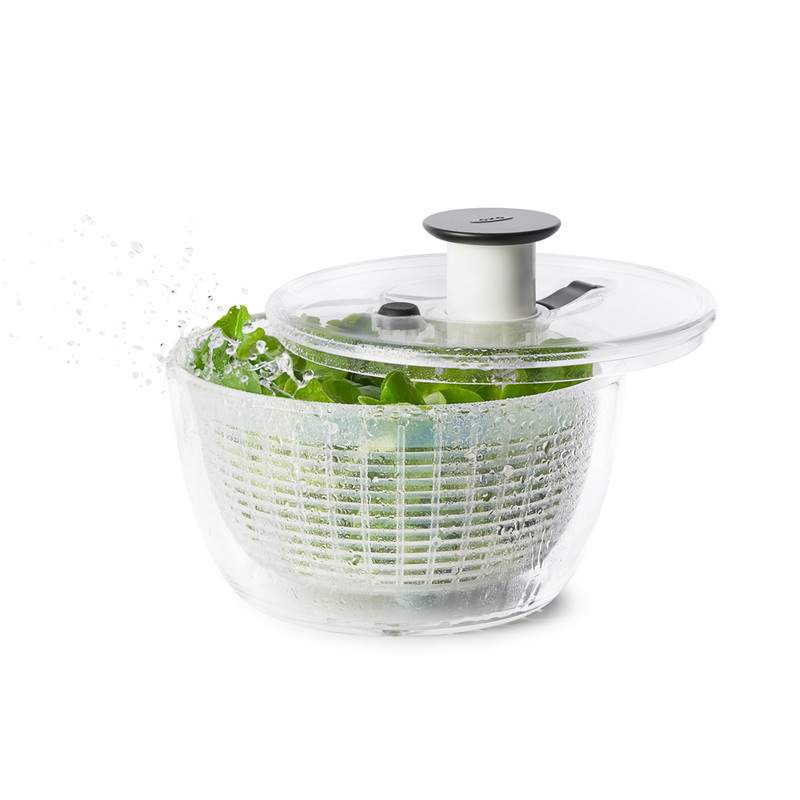 The patented brake lets you stop the basket to unload it, and a non-slip ring keeps the bowl steady on the countertop. 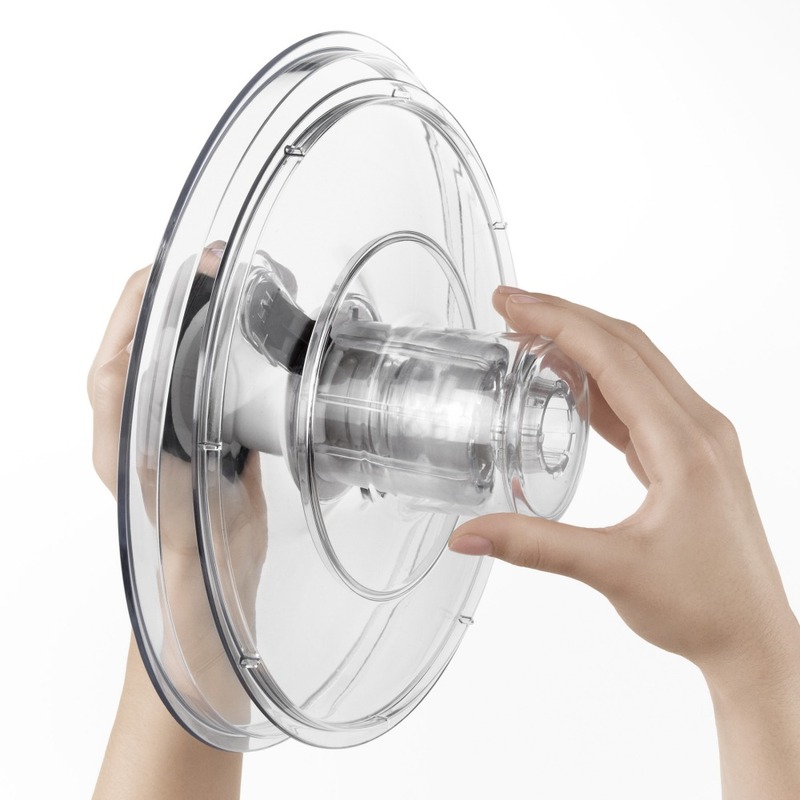 The knob locks down for convenient storage, and the basket and bowl can be used separately.